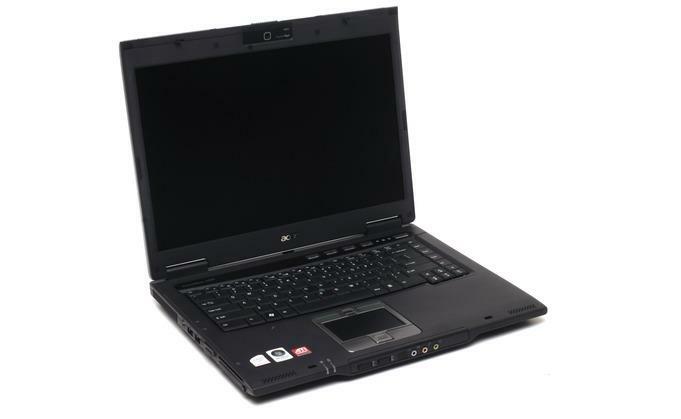 The Acer TravelMate 6592G runs on Windows Vista and has the new 2.20GHz T7500 Core 2 Duo CPU with an 800MHz FSB and a 4MB L2 cache, 2MB of DDR2 667MHz RAM and one of ATI’s new Mobility graphics cards, the ATI Radeon X2300-HD. The TravelMate 6592G is reasonably well kitted-out with ports and connectors. However, there are only three USB 2.0 ports, two side-by-side on the left edge, and one at the back on the right. The left-hand side also houses a FireWire (IEEE 1394) port, an ExpressCard/54 slot, a PC Card slot, a SmartCard reader and a flash card reader that accepts SD, MMC, Memory Stick and xD media. If you are looking for available drivers or software related to your Acer TravelMate 6592G laptop. The following software and drivers are compatible with your Acer TravelMate 6592G and Microsoft Windows 7/Vista/XP 32/64-bit. If you come across any Acer TravelMate 6592G Drivers download issues, please ask for help in the comments section below.